I have a master’s degree in journalism and experience that spans content marketing, corporate communication, litigation PR, and speaking on live television. My certifications include Google AdWords and Analytics, HubSpot Inbound and Email Marketing, and Pragmatic Marketing’s Foundations. My side hustle, Skyline Pet Care, has been featured in get-out-of-debt articles on sites including The Thrifty Couple (How to Pay Off $20K of Debt By Pet Sitting) and Student Loan Hero (5 Ways for Animal Lovers to Make Extra Cash). 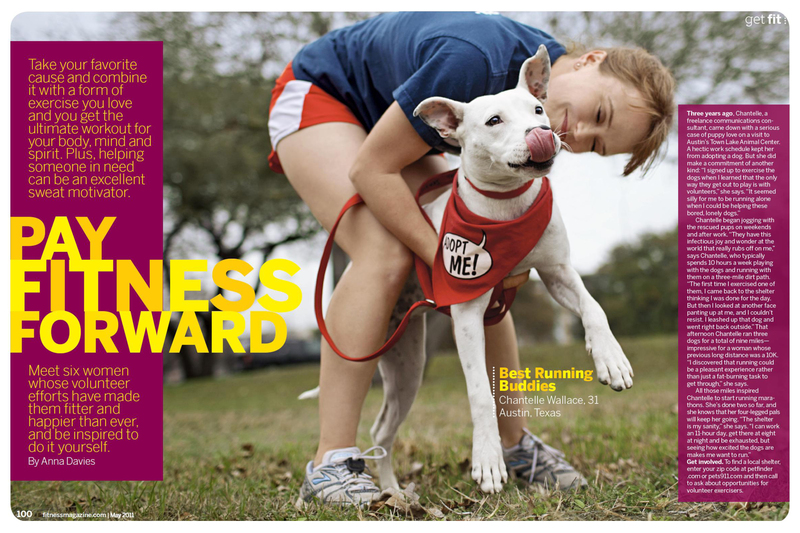 I was featured in Fitness Magazine for my marathon training runs with Austin Animal Center residents. Keeping shelter dogs exercised is a cause I care about deeply, as it dramatically enhances their quality of life and chances of adoption when they’ve had adequate activity. My shelter volunteerism has also been featured in a Ruffwear post, a Running with Ollie Q&A, an Ask Miss A article, and an AAC Volunteer Spotlight. I am a repeat recipient of the President’s Volunteer Service Award for my 11 years of shelter work, and a Charles Schwab Outstanding Community Service Award winner.